”HOW TRUE WHAT SIR WINSTON CHURCHILL WROTE ABOUT INDIANS 64 YEARS AGO HAVEN’T WE INDIANS WORKED SO VERY HARD TO ACHIEVE HIS END!!! 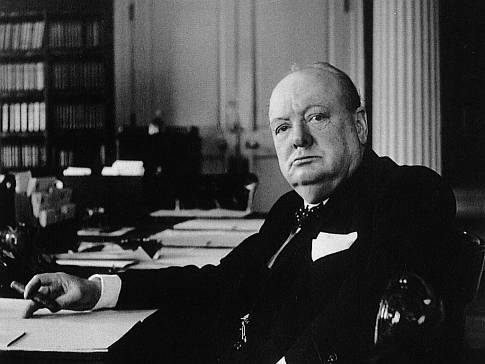 BEST ANSWER – Sir Winston Churchill has predicted right 64 years back. His opinion still holds good. We obtained freedom from British but politicians have mortgaged it for their own family welfare. Situation has become from bad to worse. “Power will go to the hands of rascals, rogues, freebooters; all” It has gone to Rajas,Radias,Ranis – not much of a difference. “Indian leaders will be of low caliber and men of straw” This statement is true as far as the development of country is involved. But they are of high caliber and men of making the straw while sun shines. “They will have sweet tongues and silly hearts’ This statement is applicable just before elections.They come to our house for canvassing. Once come to power they forget us. “They will have sweet tongues before an election and silly hearts after coming to power”. “They will fight amongst themselves for power and India will be lost in political squabbles”. Elections convert friends to enemies and enemies to friends,. They leave aside all moral principles aside and go for alliance. A leader of one party would have attacked the other leader in the previous election speech. Next election he will twist his tongue effortlessly to appreciate him to enable the alliance to win. 2G Scam left DMK in peril but Congress manages to keep away. There is a cold war going on between these two. “A day would come when even air & water would be taxed in India.” Water is already taxed by Corporations,Panjayats etc. Selling water was once considered a sin. Now the sin is a business in the form of mineral water. Government is not able to supply purified water. Ministers preside seminars on water management like how to purify,save water etc In the seminar they drink safely the mineral water. Since air is invisible they don’t know how to tax it.